Facebook has suspended hundreds of apps amid a sweeping review spurred by the Cambridge Analytica privacy scandal, the Independent reported. Earlier this year, it was reviewed that a researcher named Aleksandr Kogan used a survey app to gather Facebook data encompassing up to 87 million people - both those who downloaded the app and their friends - and then passed it along to Cambridge Analytica, a political consulting firm that worked for Donald Trump’s presidential campaign. Facebook said amid the ensuing backlash that, in the years since Mr Kogan collected vast amounts of data, the site had put in place more stringent privacy rules that would have prevented harvesting information in that way. But it pledged to vet all apps that had access to large amounts of data. A review of thousands of apps has so far led Facebook to suspend about 200, VP of product partnerships Ime Archibong said in a blog post. Those that were found to have misused data will be banned and people who downloaded those apps will be notified, Mr Archibong said. “There is a lot more work to be done to find all the apps that may have misused people’s Facebook data - and it will take time. We are investing heavily to make sure this investigation is as thorough and timely as possible”, he wrote. Reeling from the Cambridge Analytica scandal and an accompanying uproar, Facebook announced that it would impose tighter limits on what types of data third-party apps can collect. 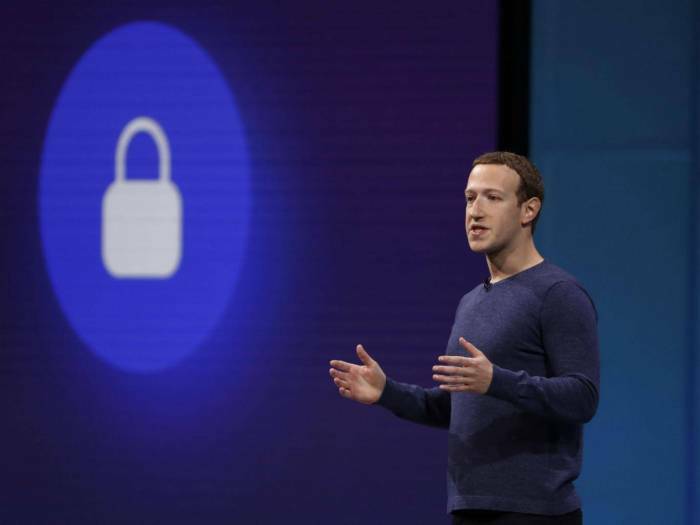 CEO Mark Zuckerberg and other executives have apologised and sought to reassure users that the social media giant is working to safeguard their personal information. They have been confronted by sceptical members of Congress who increasingly say Facebook cannot be trusted to police itself. Mr Zuckerberg told legislators that he welcomed the possibility of more regulation and understood tighter rules were “inevitable”, but he has warned against overly sweeping measures. “I think a lot of times regulation puts in place rules that a large company like ours can easily comply with but that small start-ups cannot”, Mr Zuckerberg said. Cambridge Analytica has denied wrongdoing, rejecting Facebook’s contention that it misused data. The company announced last month that it was ceasing operations, citing plummeting business.